In Swanson v. Village of Flossmoor (7th Cir. July 24, 2015), the Seventh Circuit recently affirmed dismissal of a plaintiff’s race and national origin discrimination claims because he failed to timely file a complaint. Claims of unlawful discrimination under Title VII of the Civil Rights Act of 1964 are required to be filed with the Equal Employment Opportunity Commission within 300 days of experiencing the adverse action. In Swanson, the plaintiff missed his 300 day statute of limitations. Swanson attempted to skirt the 300 day error by using the continuing violation doctrine. Under the continuing violation doctrine, if a plaintiff alleges a hostile work environment/harassment as the adverse action, then some of the hostile acts, even if outside of the statute of limitations, may be considered as long as a complaint was timely filed from the last hostile act. However, as explained by the Seventh Circuit in Swanson, the continuing violation doctrine does not apply to discrete adverse employment actions (such as demotions, suspensions without pay, and terminations). The continuing violation doctrine only applies to claims of harassment/hostile work environment, and Swanson did not make such a claim in his case. EEOC Filing Deadlines: Injured parties must remember the deadlines. 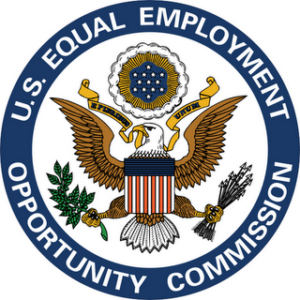 Failure to file a charge of discrimination with the EEOC within 300 days will forever bar one’s case under Title VII.